Maxracks are a heavy duty robust builder’s rack up to the toughest job. Aluminium cross bars, aluminium side rails and then polyester powder coated. Also complete with pre-galvanised steel and powder coated wind deflector and brackets. Includes full width stainless steel roller which runs on nylon bearings enabling smooth rotation. Lightweight, strong, won't corrode, fuel efficient. 8x4 capacity - Provides versatile and large roof storage space. Incorporates T-Track so supported by range of related accessories – eye bolt, ratchet straps, load stops. 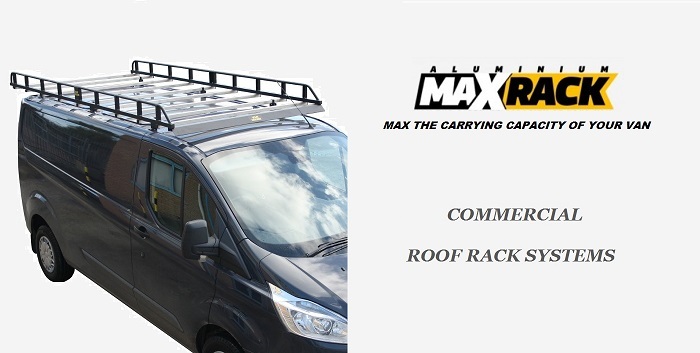 Load carrying capacity - 50kg per bar distributed evenly to the maximum load carrying capacity for the roof that van (refer to vehicle handbook). 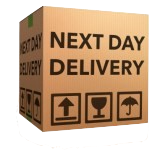 Detailed fitting instructions and fixings are supplied with this product. ULTI bars are made from anodised aluminium so won’t corrode. 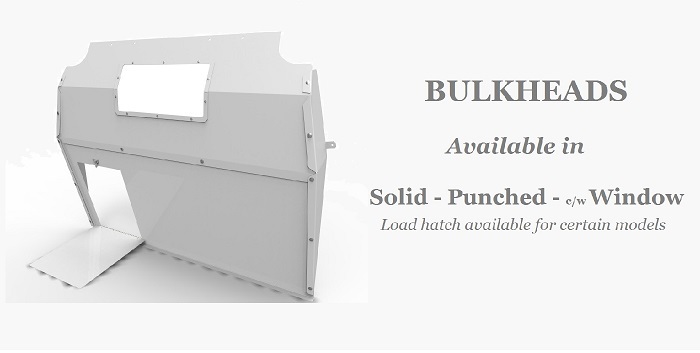 Comes complete with galvanised & powder coated steel brackets. Comes with 2 FREE pairs of easily adjustable load stops. Range of roof accessories available to fit innovative T-track – load stops, eye bolts and beacon brackets. Crash tested to 20g (Verifiable source information available on request). 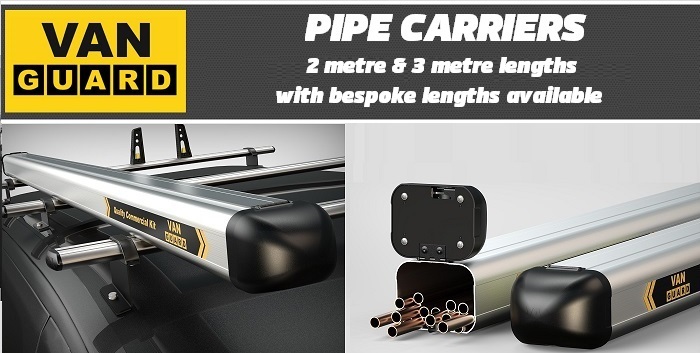 Load carrying capacity - 55kg per bar distributed evenly to the maximum load carrying capacity (refer to vehicle handbook). Maximum load is in accordance with the vehicle manufacturer’s load bearing capacity. 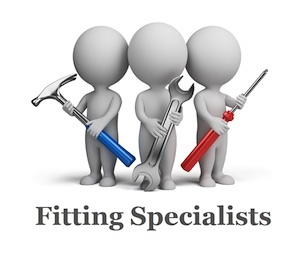 Detailed fitting instructions & fixings are supplied with this product. At least 89% less drag than our nearest competitor’s aerodynamic bar. Less drag should mean fewer trips to the fuel station. 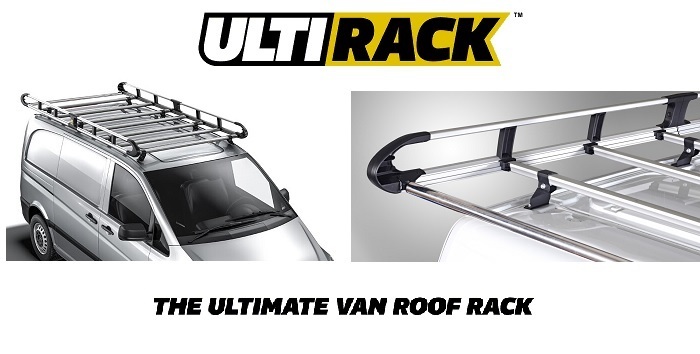 The ULTI Rack is a robust builder’s aluminium gallery rack that is extremely quick and easy to fit, and up to the toughest job. Innovative Click and Lock design which reduces both the number of fixings and time to fit. Aluminium is lightweight, strong and won't corrode. Aerodynamic profile minimises wind noise and drag. 37% lighter than competitor racks. Full width stainless steel roller at the back for easy loading and unloading. Three variants available: solid, punched and with window. Window bulkheads – Incorporating a clear high performance polycarbonate sheet for vision. 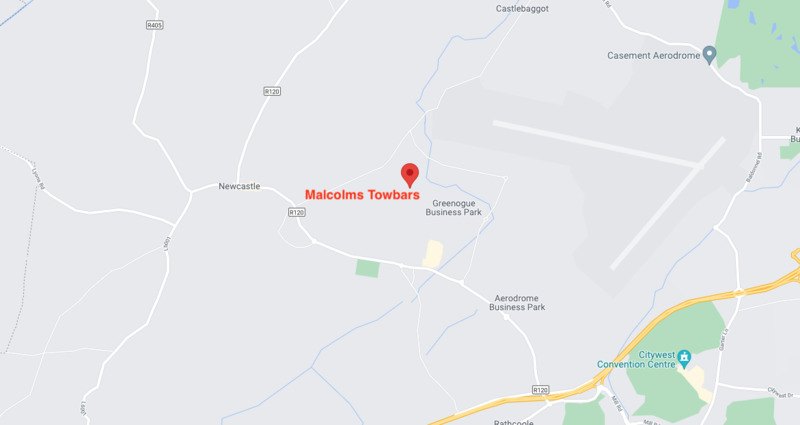 Manufactured from robust 1.5mm (16 gauge) zinc coated steel. Safety tested and built to withstand test according to BS ISO 27956:2009. Deterrent to theft from vans. Detailed fitting instructions and all fixings required are supplied with this product. Available for Tailgate and Rear barn Doors vehicle variants. When it comes to Van Accessories! 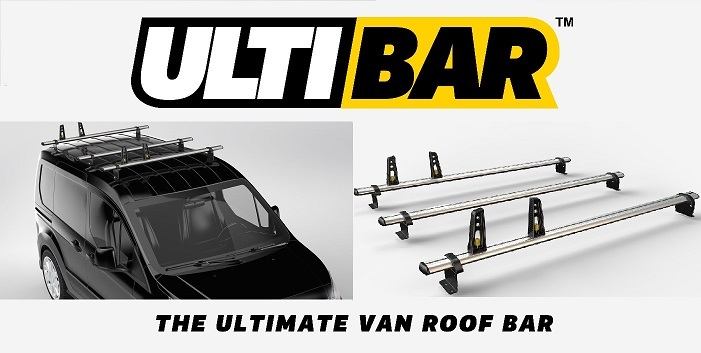 Malcolm's offer a comprehensive range of van solution products, including ULTI bar roof bars, ULTI Rack full roof rack systems, in addition to other external roof storage solutions such as pipe carriers and ladder clamps. Also available from the range are bulkheads and window grills along with various other accessories. 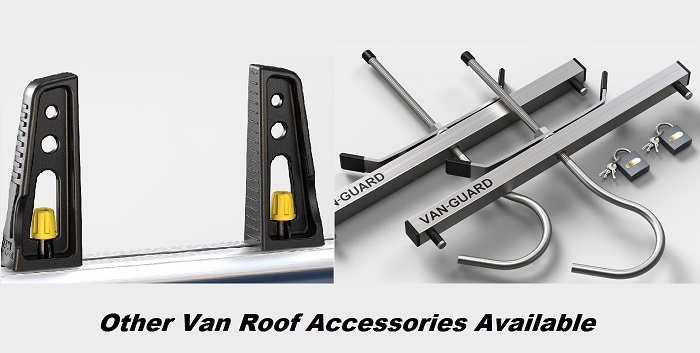 All our Van Accessories are supplied to us directly from the manufacturer Van Guard UK, who are one of Europe’s leading manufacturer of these products.